Tomb Raider, Assassin’s Creed, Warcraft, most recent and upcoming video game movie adaptations are based on big titles that even non-gamers recognize, so it’s quite surprising to learn that indie game We Happy Few is in line for the big screen treatment. The dystopian survival title made quite an impression with its E3 trailer last year. When it arrived in Early Access on Steam (where it’s still at) some claimed it had been overhyped, but it's since received updates and is currently rated as Very Positive by users. Variety reports that developer Compulsion Games has teamed up with Gold Circle, producer of the “My Big Fat Greek Wedding” and “Pitch Perfect” franchises, along with dj2 Entertainment for the project. The two companies are currently looking for writers to create a script. We Happy Few isn’t the only video game movie that dj2 Entertainment is currently involved with. The company is producing the adaptation of Sleeping Dogs, set for release next year and starring Donnie Yen, and co-producing the Sonic the Hedgehog movie. The game is set in a retrofuturistic, alternate-1960s English town where citizens take hallucinogenic drug “Joy” to mask the guilt of a terrible act they committed. Players take control of a rebel who has stopped taking Joy and is seeking the truth. "[dj2 Entertainment] approached us enthusiastically with really solid ideas about how to adapt our game to film while retaining its menace, dark humor, and central themes,” said Compulsion Games head developer Guillaume Provost. Plots aren’t the most important thing when it comes to deciding which video games get made into movies. It certainly hasn’t hindered Tetris, which is reportedly being made into an $80 million trilogy. 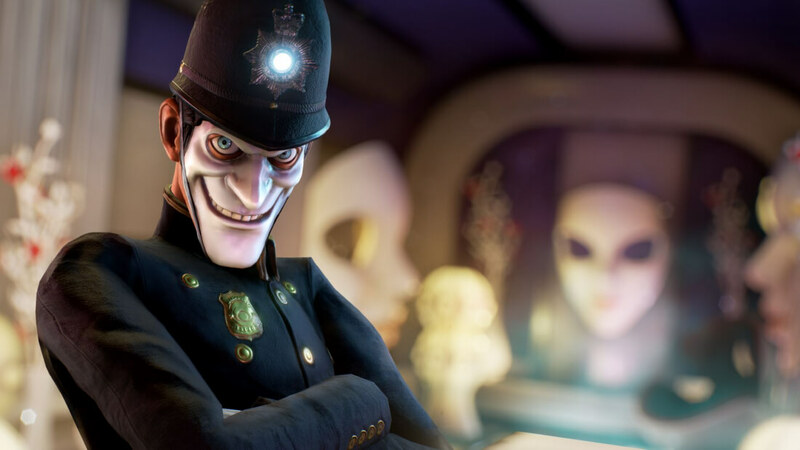 But We Happy Few’s story has the potential to make it an interesting feature film, and hopefully one that’s better than the usually terrible movies we’re used to seeing from the genre. “Our commitment is to make a movie that remains true to the source material, while still surprising fans,” said dj2 Entertainment CEO Dmitri M. Johnson.